Have you ever wondered how teachers can successfully teach a full classroom of students? We all know that each person is unique, bringing their own experiences and different skills into the classroom. Add to that policies that strive to keep children with various disabilities in mainstream classrooms for as much of the time as possible, and you have to wonder—is it even possible to teach a classroom full of students in school today? Fortunately, the fields of architecture and product design provided the concepts that underlie Universal Design Learning, often referred to as UDL. UDL is a design process that provides the best access and outcomes to every individual. The goal is for every student—whether they have missing skills, special needs, are typical or advanced—to learn in a way that meets their needs. Where Did UDL Come From? UDL is based upon the universal design movement in architecture, primarily of public spaces. This movement strived to make spaces accessible and useful to all people, of all abilities, without having to adapt the space later. Rather than design a building and then think towards the end of the design process about how to add access features like wheelchair ramps or special equipment installations, the design process began assuming the entire structure should be accessible to the greatest number of people. A key point to universal design is that the design process doesn't just try to increase accessibility for those with disabilities and those who are out of the mainstream, it attempts to effectively design for everyone. Universal design is also well-designed for ease of use by people who do not experience disabilities. UDL is a set of guiding principles used in designing curriculum and lessons from the earliest stages so that the greatest number of students will be able to learn most effectively and deeply. The design process leads to flexible materials and lessons that can be used by all students. Fewer changes need to be made at the time of instruction, as the curriculum was already designed to be flexible. The Recognition Network: This network of the learner's brain seeks to know what is being learned. Instead of only teaching students from a print textbook, learners are provided with a variety of options, including auditory lectures or audio books, visual drawings or animations. The Skills and Strategies Network: This network addresses the how of learning, or how a learner can express what they have learned. Options may include giving an oral report, a written report, preparing a video segment, or making a model that demonstrates the material. Caring and Prioritizing Network: This network addresses why the skills and material being learned matter. This is often thought of as engagement, or being involved with the material. Learners can be especially variable in what will keep them interested. Some learners prefer to have a quiet routine strategy to engage the material, while other learners will want a great variety and chance for experimentation. Some learners will prefer group learning, while others will prefer to work alone. UDL attempts to address all three network in each lesson for each learner. This way, the learners will not only know the material being taught, they will also understand it's importance or usefulness, and how it can be applied. Students with visual disabilities can use auditory methods, students who struggle to organize materials can choose a method that best utilizes their individual skills, and students who need quiet to learn best can work in a quiet atmosphere—so every learner will see their needs met. UDL provides a framework for creating lessons or units. Teachers begin by identifying the learning goals for all of their students. Learning goals are usually based on learning standards and expectations that have been defined by the school or state. Examples include learning one of the grade level standards outlined in the Common Core State Standards. Once learning goals are defined, the teacher then chooses methods of teaching which will reduce the barriers for their students while increasing the access to the three networks listed above. Methods are based around how to best present the material. The teacher will then review which materials they plan to use in the lesson. Curricula materials that have been created based on UDL principals are designed to be adaptive, flexible, and variable. Materials often include a variety of media presentations and formats. 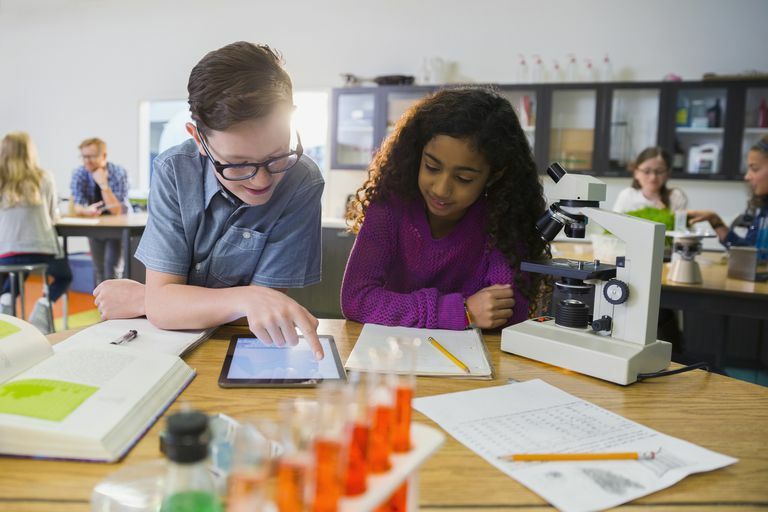 Think of textbooks with QR codes on the pages, so that learners can access a video demonstration on a tablet that is available in the classroom. Computer videos may have quizzes within a movie style lesson that checks what students have learned and provides help if needed. The last step is assessment—but don't think of it is a standardized-style test. UDL assessments are meant to provide fast feedback throughout the learning process to make sure that learners are meeting the actual goal originally stated. Teachers are then able to change course quickly to keep all learners on track. Because variability and flexibility were included from the beginning, teachers can easily adjust their teaching mid-lesson. UDL is a popular framework for public schools with diverse student populations and special education teachers. UDL adapts to learners, in real time as needed, rather than expecting learners to adapt to the material. While this approach can help ensure that children with special and unique needs are able to learn, UDL is a strong approach for all students. Teachers can undergo training that varies in length and depth to use UDL in their classrooms. The basic training that explains the principles and gives a quick overview of lesson planning using UDL can be taught in a few hours, while more comprehensive training may be in a college class-style format. UDL principles can be used in pre-k through college level classrooms. The concepts can even be applied to a corporate employee or other private-sector training. UDL is an effective way for teachers to teach to a wide group of students. Whether your child has a disability, a special need, is typical or advanced, you can feel confident that your child is getting their needs met when teachers use UDL in their classrooms. Many parents today worry that their child may not get their needs met when teachers must meet the needs of an entire class of students. UDL is what makes it possible. Instead of a teacher having to create multiple lessons for multiple children, flexibility is built in from the beginning. Is UDL Really a Fancy Term for Differentiation? No. While UDL and differentiation are both strategies to reach all students, there are some key differences. Differentiation is a way for teachers to make a lesson more accessible to a group of students that isn't already being reached by adding options in for learners. Differentiation is included in a lesson plan in the final stages of planning. UDL principles are included from the very beginning of lesson planning, back at the level of identifying a learning goal. UDL principles are designed to reach all individual learners, whereas differentiation includes learners on the fringe at the end of the process. Ask! Check with your child's teacher to see if they are using UDL-designed curricula or have received training in UDL lesson planning. If your child's school isn't using UDL, you may want to ask what methods they use to reach all students in their classrooms. "About UDL." National Center On Universal Design for Learning. National Center On Universal Design for Learning, 22 July 2015.